Today was the end of a 'Rest / Test' week in the Build phase of my training season. 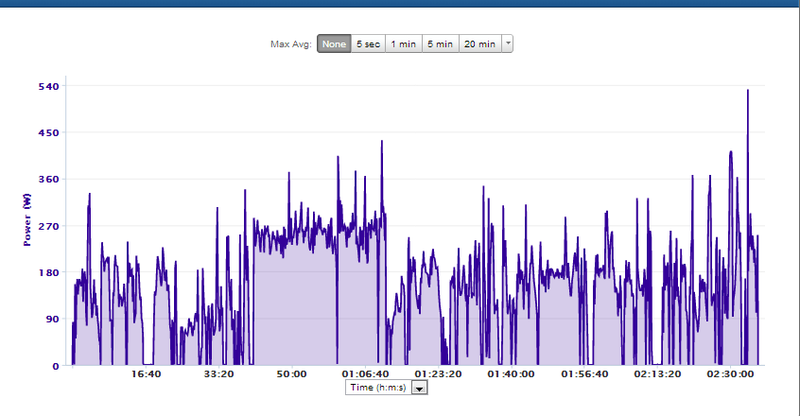 I decided that I'd do another Functional Threshold Test on the bike since the last one I did was back in mid-April. Functional Threshold Power (FTP) is the power that you could hold for a 40km time trial. As I headed out at 6am it started to rain. I *almost* turned back, but I talked myself out of bailing. After all, there isn't anything technical about the course I was going to ride, so even at a decent clip, it was still safe to be out there. Also regarding bike handling - I do have *some* skills. I've also ridden enough times in the rain to just put it aside. Got to the start location at about 40 minutes - good warm up with some wind-ups where I was hitting some good numbers (watts) that told me it was a good day to test. Pretty much recovered from the hard part of the build that ended 4 days ago (interestingly, I was still feeling it on my Friday ride, so I'm dialing in the recovery periods I think pretty well). After a quick swig out of my bottle I hit the lap button and rolled off. Over the next 20min, try to slightly increase and zero in and hold it. Goal is to try and slightly negative split the 30 minute time trial. 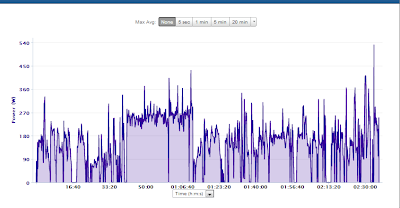 FTP is basically the average of the last 20 mins (above) provided that you didn't under-guess the first 10 mins. Yes, the test is not truly 40km, but the rationale (Coggan, Friel, et al) goes something like this: what you can hold for 30min is basically 5% more than what you could hold for twice that time. 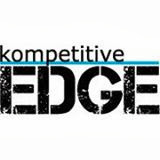 But in a race, you can push about 5% harder due to the adrenaline / excitement of racing. Most people can't push as hard solo (I'm one of them). So it's a wash.
FTP was 257 Watts - which is about a 15 W gain from my April test. I was pretty happy with that. My guess going into the test based on past weeks is that I was around 255 W.
Chris Froome (who just won the Tour de France) is at 5.8 W / kg - that's humbling. Of course now that means I need to bump up all my training zones - but actually, I've been riding at the upper end of them for a couple weeks now, so no biggie. After the TT I shut it down and rode Z2 for the rest of the 2 1/2 hours. Mostly in the light rain. Pretty jazzed to start this week's training cycle!